Ready to use out of the bag. Once exposed to air, Critter Clay™ begins to harden. Critter Clay™ sticks best to a clean, textured, or roughed up surface. Use water to wet fingers or tools, to feather, shape and add final details. 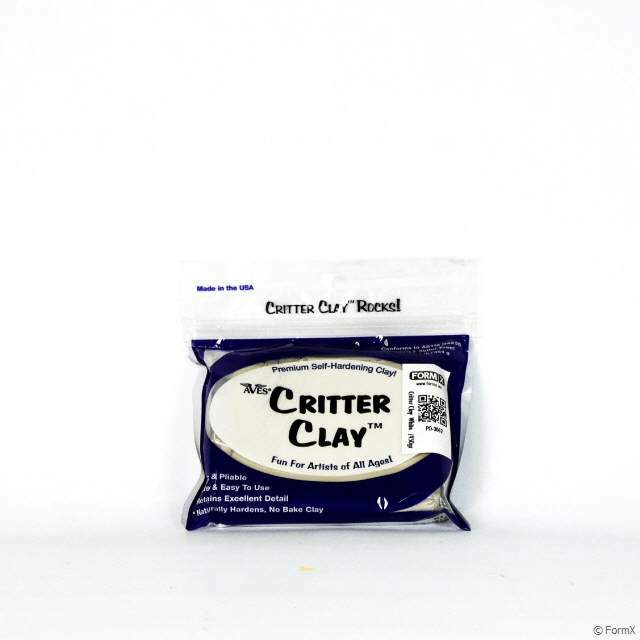 Keep Critter Clay™ sealed in a plastic bag until you want it to dry and harden. For extra shelf life, this product may be refrigerated or frozen. It is freeze-thaw stable. 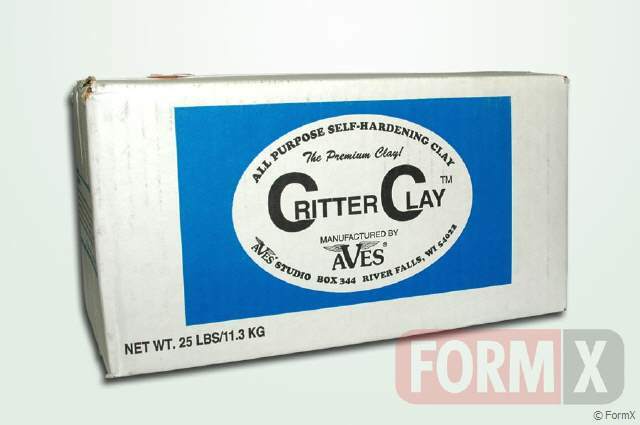 Critter Clay™ accepts all paints. Safe for children to use under adult supervision. Taxidermy, Classroom & Youth Camps, Sculpting, Industry. For Mannikin Building, Glass Eye Setting, Animal ear setting (taxidermy), childrens hand prints, coil, pinch & slab pots/vases, Ceramic Prototyping, Unlimited Project Uses! *If clay becomes somewhat dry due to an open bag, you may restore it with a couple squirts of pure water, then let it sit, sealed in the bag overnight. The less water you use, the better results you will have.